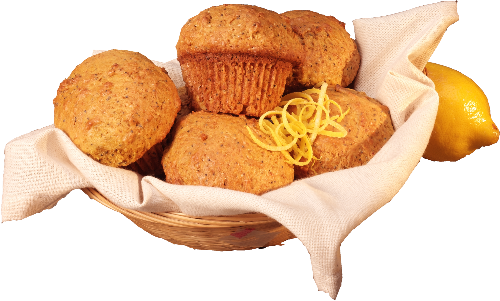 Lemon Poppy Muffins — Eco-Cuisine, Inc.
Preheat oven to 375° F. In a mixing bowl, combine the Basic Muffin Mix, poppy seeds, lemon flavor, vanilla, water, and oil. Mix until evenly dispersed. Spoon batter into lined or oiled muffin tin, putting about 1/3 cup of the mixture into each cup. Bake for 15 minutes or until golden brown and completely baked. Cool and serve.